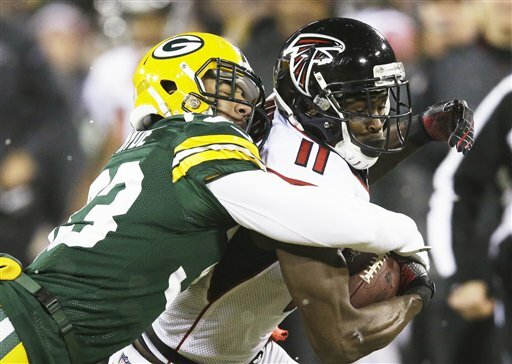 At the half, the Atlanta Falcons were down 31-7 to the Green Bay Packers, and it looked like the game was slated to get worse in the second half. For the third week in a row, the 5-7 Atlanta Falcons are in first place in the NFC South with a head-to-head tie-breaker over the New Orleans Saints. I’ve been putting this entry off for a while now, and it’s time to get it off my chest. 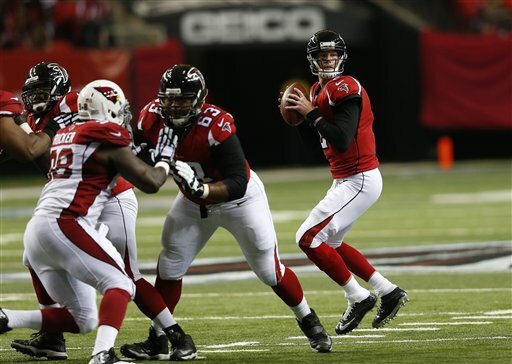 The Atlanta Falcons are being unjustly disrespected heading into the 2012 NFL season. Both Warren Sapp and Vegas expect the Falcons to miss the playoffs this year, and a couple of Falcons players are mysteriously absent from the Top 100 Players of 2012 list. Now, I know the thing fresh in everyone’s minds is the 24-2 shellacking at the hands of the New York Giants in the wildcard round of this past season’s playoffs. And before that, the thing fresh in everyone’s minds was the 48-21 beatdown they received from the Green Bay Packers in the divisional round of the 2010 playoffs. And I know the Falcons are 0-3 in the playoffs since the current regime took over in 2008. I’m not trying to justify the Falcons’ seemingly inability to win a playoff game; instead, I want to shed a little perspective.